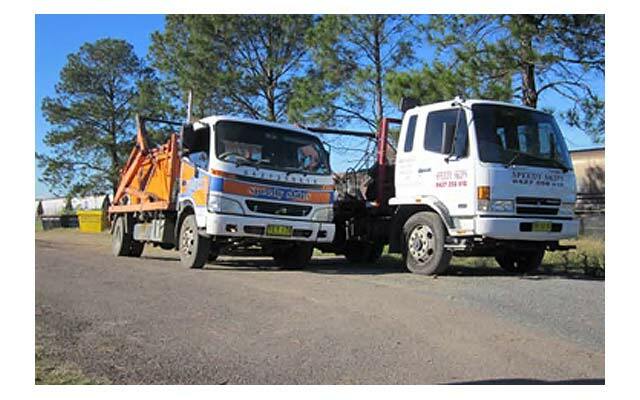 When you’re in need of prompt and reliable skip bin hire from Maitland to Newcastle and all surrounding areas – you can rely on Speedy Skips to deliver an effective waste removal service in your area! With a wide selection of bin sizes/capacities, highly competitive pricing and a convenient service available 7 days a week. Our skip bins are ideal for all your waste removal needs and we can provide you with a solution that works around your requirements. Speedy Skips is a locally owned and operated business based in Maitland. Providing the most convenient waste disposal service and an outstanding level of customer service. We’re also fully licensed and offer clients throughout the region with affordable, safe and convenient waste removals. What a convenient service. Good day. To be honest I am surprised with the professionalism and friendly service, the service is outstanding. Thank you for your help I would like to thank you for the quality of your service. I will recommend you to my colleagues, friends and others. Very helpful staff. We have found the service excellent and the pricing was very competitive. Speedy Skips pride themselves on prompt efficient service, delivery and pickup. Business is situated in Maitland and locally owned. Email: speedyskips@outlook.com for your free quote today. A range of Bin sizes 2m, 3m, 4m, & 6m. Fully insured worry free service. No expensive trips back and forth to the dump, saving you. Newcastle, Nelson Bay, Lake Macquarie, Muswellbrook, Singleton, Cessnock, Maitland, Gloucester, Port Stephens, Karuah, and surrounding areas.